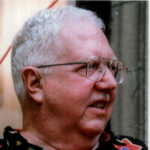 CHARLEY HORWITZ (1935 – 2006), former Brooklyn Society for Ethical Culture president, embodied the meaning of inclusion, activism, and community through his life and work. Born and raised in Chicago, Charley learned diplomacy, how to build alliances, and how to speak up for himself and others from his cousins, aunts, uncles, and other loving family members. These skills were invaluable when he attended the University of Chicago, where he joined Fair Play for Cuba and studied for a Masters in International Relations. 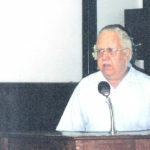 Charley moved to New York City for his Ph.D studies and traveled frequently to Cuba. Charley’s work in Cuba, however, ended with the Bay of Pigs fiasco and the Cuban government’s subsequent expulsion of Americans without visas or credentials. 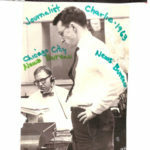 Upon returning to the States, Charley worked as a freelance writer for several newspapers and magazines. Charley’s passion for social causes led him to join the SNCC during its “Freedom Summer” in Mississippi, working with Blacks in the South to fight Jim Crow laws and race-induced violence. While in Mississippi Charley met prominent civil rights leaders such as Fannie Lou Hamer, Joyce Ladner, fellow BSEC member Muriel Tillinghast, and many others. For Charley, one summer became nine years of standing and fighting alongside Southern Blacks in their crusade for equality. Charley also met his wife, Carol Hinds, while in Mississippi. 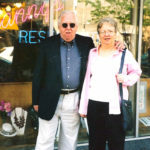 After leaving the state, they and their children moved to Washington, D.C. where Charley and Carol attended Antioch’s law school. Charley remained involved in social justice activities such as working with the Migrant Legal Action program to represent farmworkers and with anti-apartheid and civil rights activist Randall Robinson. After he and Carol lost their jobs, they returned to the New York City area. Charley then worked with a civil rights firm and for New York state. When he and his family moved to Brooklyn, their activism led them to BSEC, where they became regular members and where Charley became its board president. Charley retired in 2005; yet with within 15 months of retirement he was diagnosed with terminal cancer, and died soon after. Charley’s dedication to justice and his belief in fairness and equity inspired the BSEC to celebrate an amazing man who truly gave his heart and soul to his community in Brooklyn, across the country, and in other nations. The Charley Horwitz platform commemorates the spirit of his work and his enthusiasm for elevating the underrepresented, beyond racial, ethnic, and religious borders.